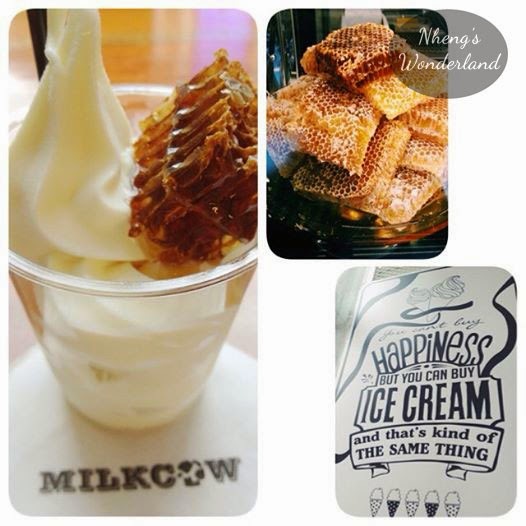 Last December 20, 2014, Milk Cow was opened in Eastwood. Too bad I don't have work when they gave free Ice Cream as a treat for their Grand Opening. But before the week ends, I finally got a chance to taste their very popular Milky Cube. Milk Cow originates in South Korea with branches at Japan, Singapore, Malaysia, and Taiwan. 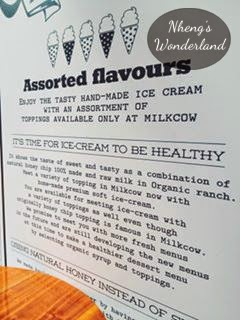 Milk Cow offers organic soft ice cream with a lot of varieties to choose from. I ordered for the Milky Cube, one of their bestseller. 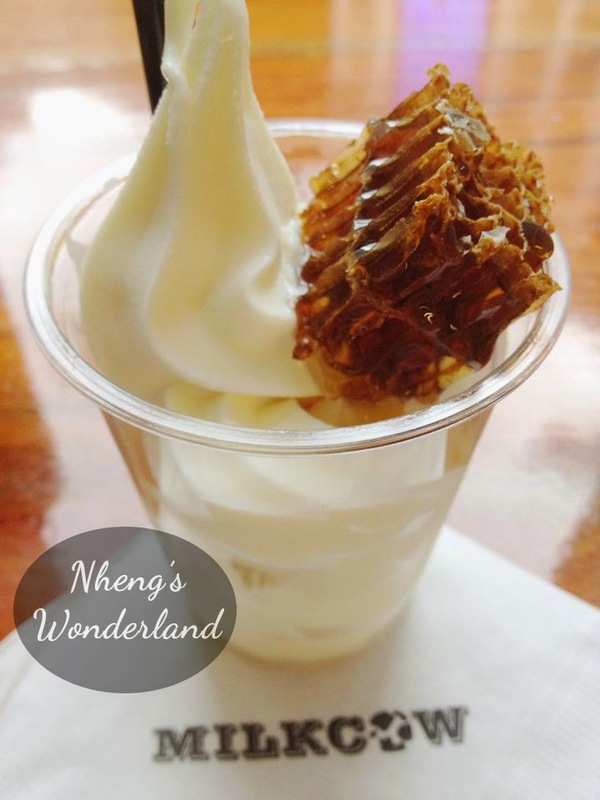 It's an ice cream paired with natural honey comb. It's P170.00 pesos each. I am not really an ice cream person, more of a cupcake/cake type, but this one is really delicious and really lives to tasting like cow's milk. 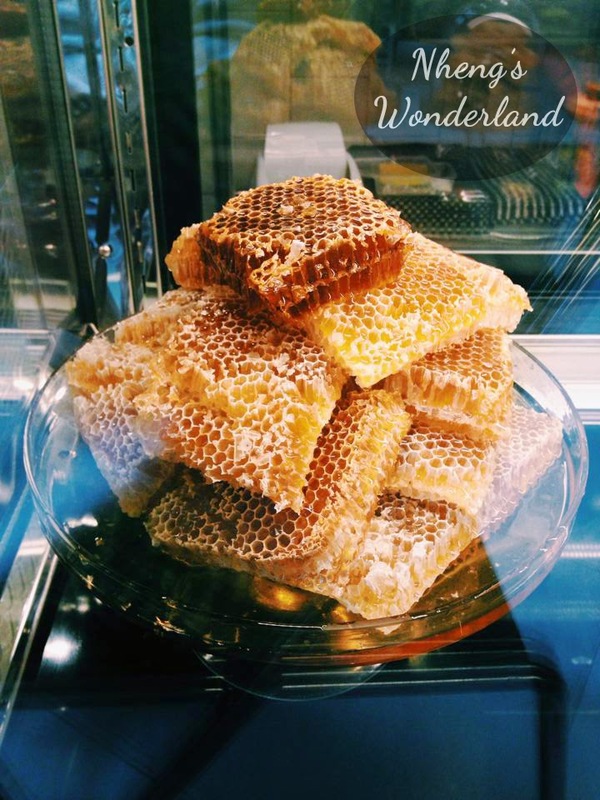 And the honeycomb? It was my first time trying it. 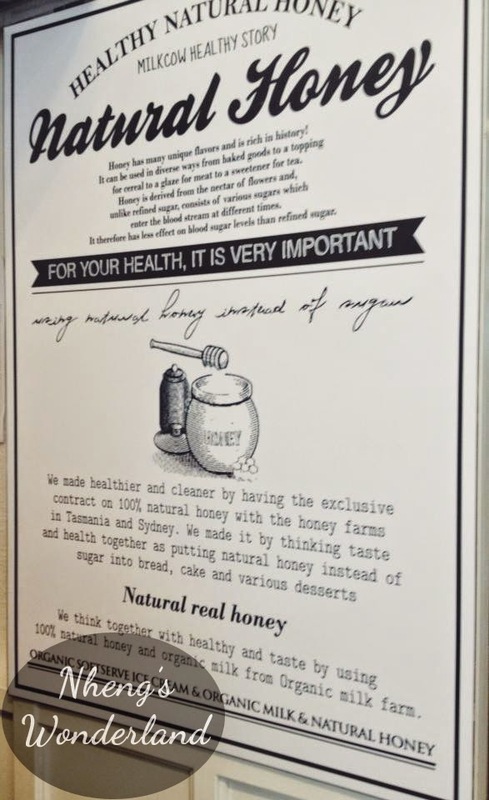 Once you take a bite, the honey oozes out and blended well with the ice cream. 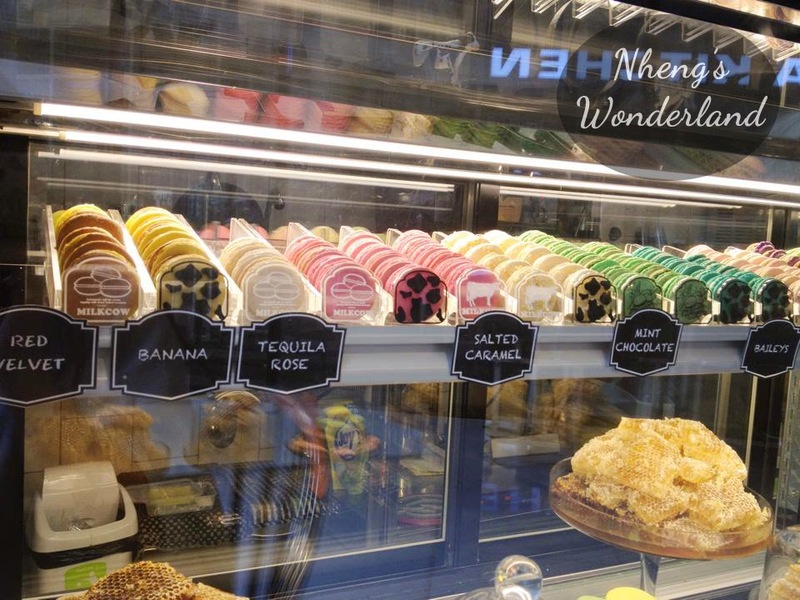 There's a lot of flavors to choose from! Macao Dream with macaroons toppings, Cookies & Cream, Milky Pearl, Milky Honey, Snowdrop with cotton candy on top, Milky Pop, and Golden Angel. I think kids would love most of their flavors. You can also order coffee here and pastries.